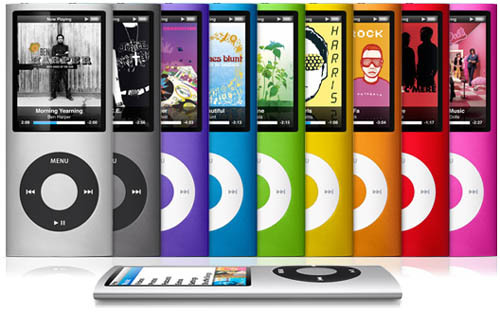 Competition - iPod Nano Giveaway! There's a new iPod in town and it's a beauty! Apple's new iPod Nano has a striking new shape, and a new high resolution brighter 2" widescreeen LCD display. The new iPod Nano gives you new features too, from the 'music genius' to create playlists of songs that go well together, to it's tilt sensitive screen - holds the iPod sideways and the picture flips to stay the correct way up! Oh yes, everyone is going to want one of these, and we are giving one away! The iPod Nano is now sleeker that ever. It has a brighter, more detailed display, and will give you up to 4 hours of video playback or 24 hours of music playback before it needs recharging. Apple have also upgraded the iPod's software so it's also easier to use than ever before. All orders placed before Feb 28 2009 will be entered into our prize draw. The winner will be contacted on the day of the draw to arrange delivery. All decisions of Taps4Less.com regarding this promotion are final. All dates and times refer to UK time (GMT).